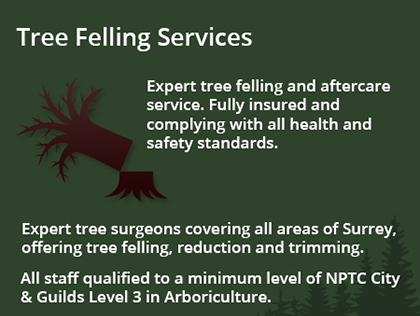 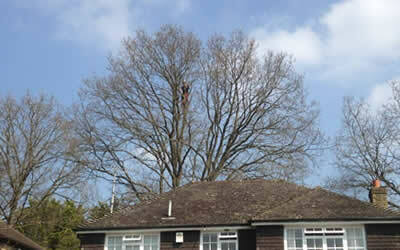 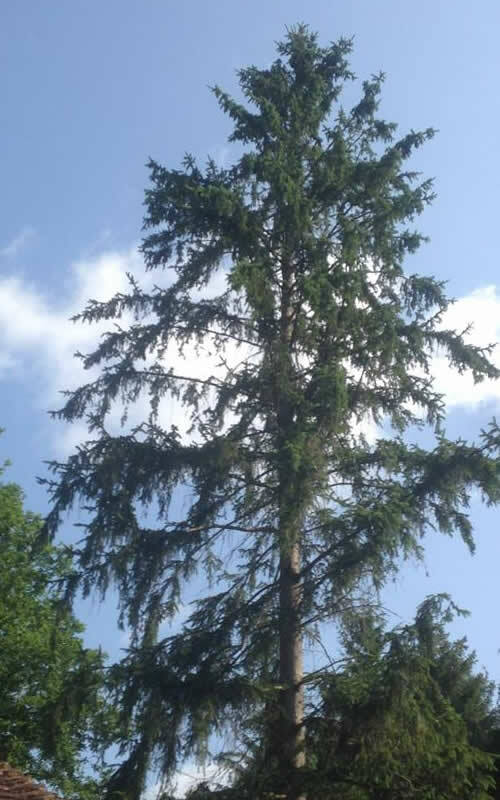 After felling, your expert will then supervise the sectioning and safe disposal of the tree. 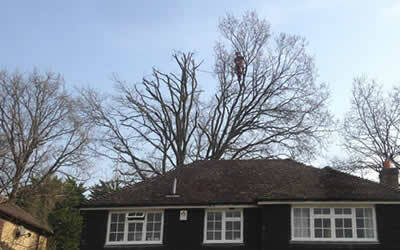 The team will carefully tidy up any other hedges, shrubs or bushes affected by the operation. 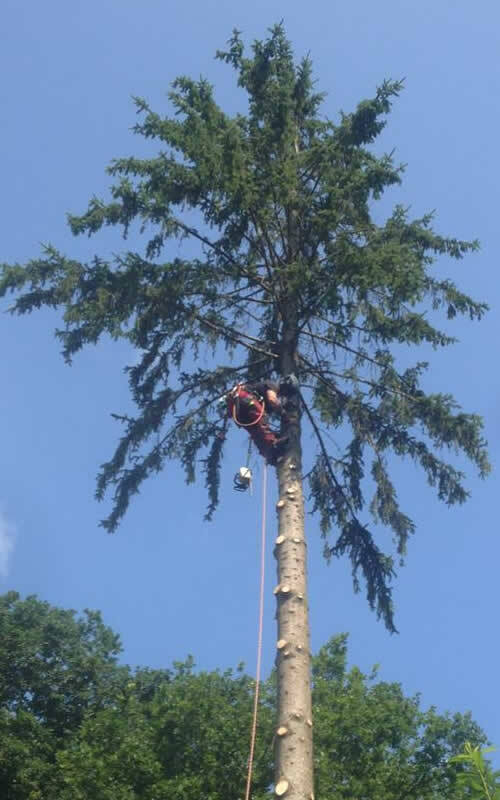 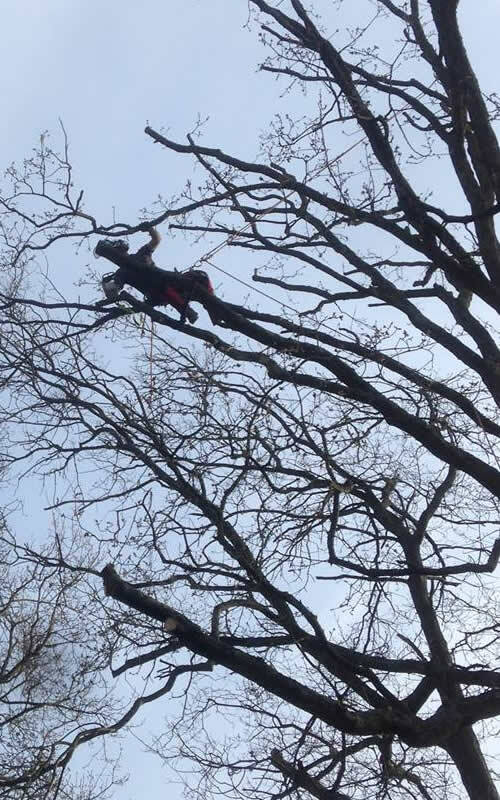 If the stump is not being removed (our expert team cam also complete this task), it will be checked for any disease that might affect other trees – and the necessary treatment or action can be undertaken. 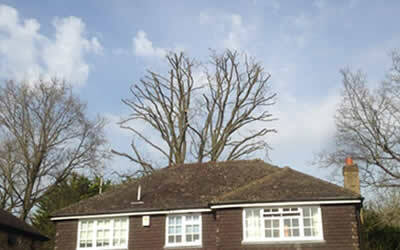 If you have dangerous, decaying or dead trees that are in need of removal, anywhere throughout Surrey, contact us without delay.